Convenience Plus Prestige! 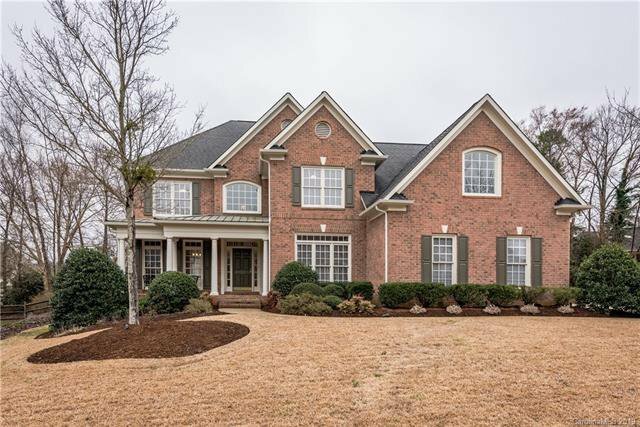 This inviting home offers a stunning two-story foyer, elegant Living Room for those who prefer entertaining, generous formal Dining Room for two or twenty. Finally, a kitchen w/ enough cabinets & room to work counter space, island, time-saving breakfast bar, new stainless appliances, granite & tile backsplash. Sunny breakfast area where everyone can sit down & eat together. Soaring Great Room has a stacked stone fireplace & built-in cabinets perfect for storing board games & books. The 1st-floor office is a quiet retreat to enjoy good books & music. 2nd Floor Owners Suite comes w/ sitting room & spa style bath complete w/ oversized jetted tub, separate shower, & dual sinks. Bath 2 connects to BR 2 & 3, 4th bedroom w/ private bath. Bonus room is perfect for movie night w/ wet bar & bath. Move right in, New interior & exterior paint, 3 newer TRANE units, new carpet, & tons of molding. Quality w/ a touch of heaven, don't just dream about this one, see it today.